New this year: Completely new developed. 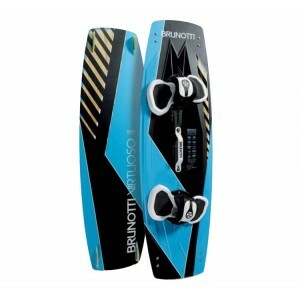 Brunotti have developed the Virtuoso in order to provide you with the ultimate board:light, durable and strong. Every inch of this board is calculated to combine an outstanding performance with a smooth and comfortable ride. 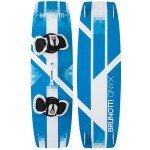 This board will allow rider to have more fun on the water, making it easy to perform new tricks due to its very good pop, light weight and stable landings. Thanks to the DSR-tech sidewalls and responsive flex, it will allow riders to time on the water by making cruising around in choppy water as light as possible.. To complete the package the triple concave on the base of the board will make sure you can extract enjoyment with even less wind, due to the perfect early planing capabilities. We recommend using the High Performance Pads and Straps with this board to ensure you extract the maximum capabilities of this board. This High Performance Accessories Set is a great addition to our high end boards like the Dimension, Riptide, Youri Pro and Virtuoso. Together with the comfort handle, also with a simple configuration , this set is complete for riders demanding the ultimate in comfort and control.